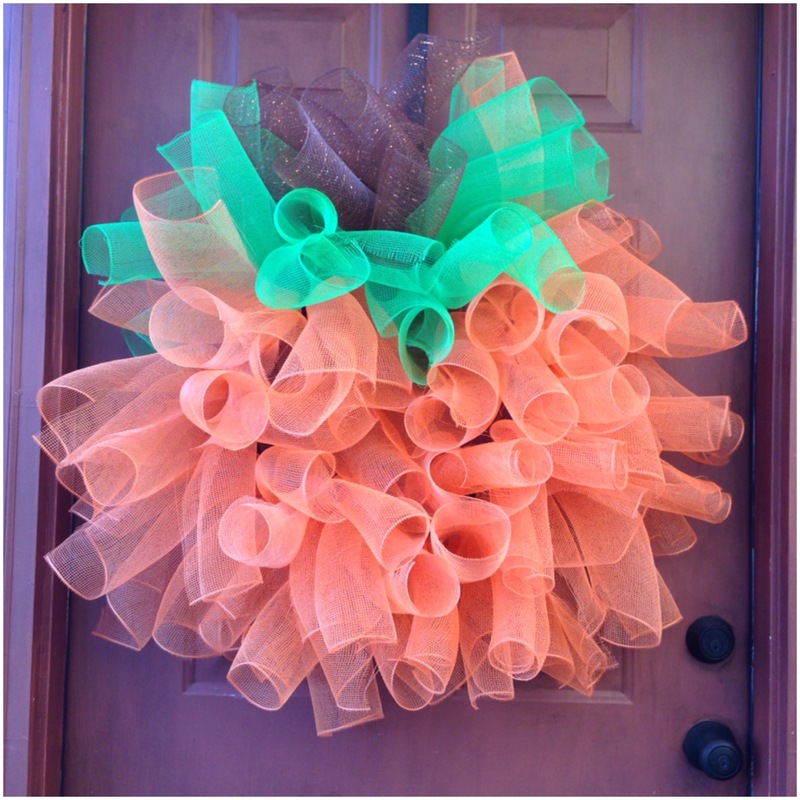 Cut the orange mesh into 12″ to 14″ pieces. Take two pieces and place in-between a pair of twist ties and twist closed. Center the mesh so there is an even amount on either side. 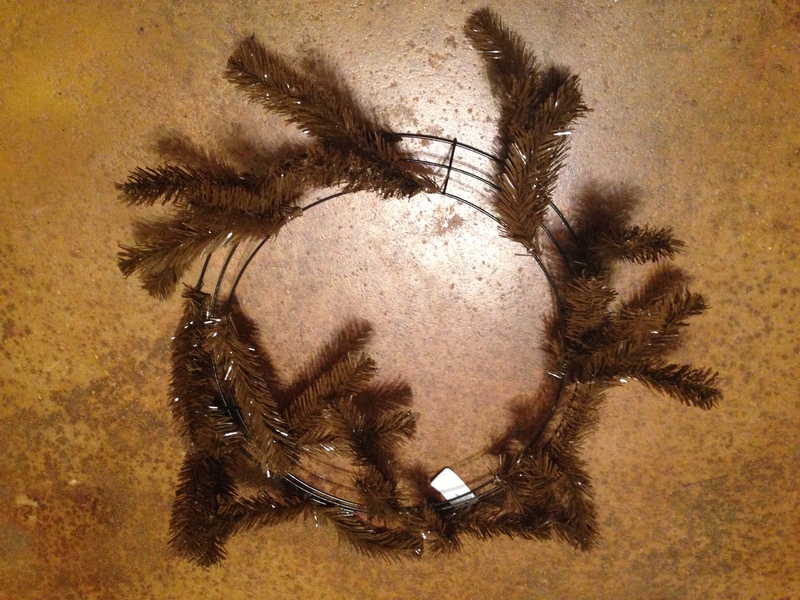 Continue until the wreath is full leaving room at the top. 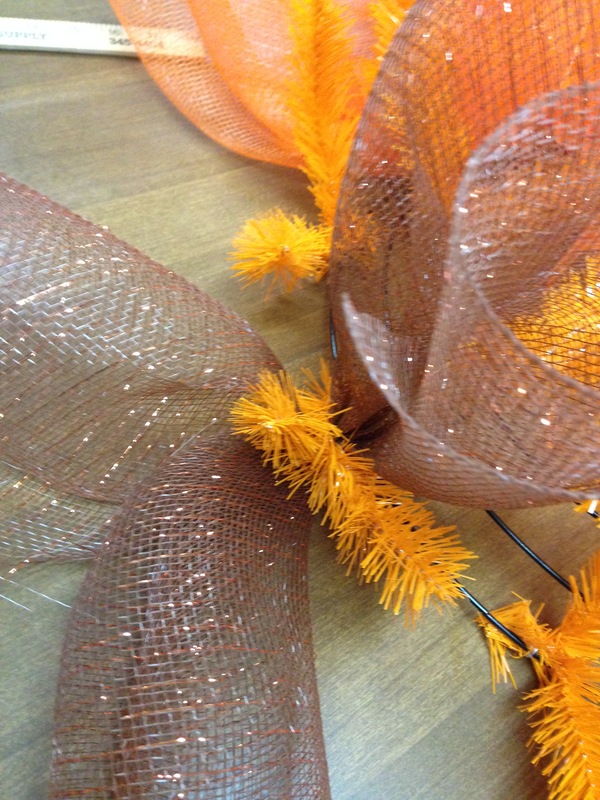 Cut the green and brown mesh into 12″ to 14″ pieces and add enough to look like a stem with leaves.